You wish to develop your network, to relocate some shops, to analyse competition and to improve your results. Your goals are ambitious but your time is limited. 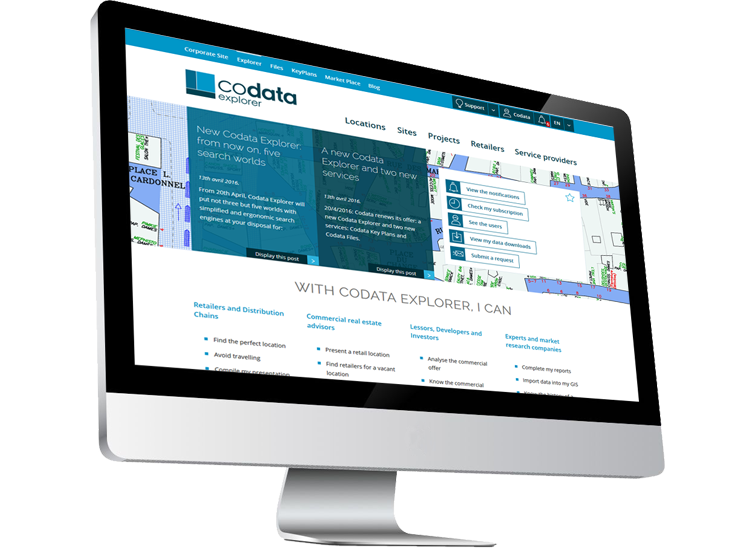 With reliable data and tools that suit your needs, Codata allows you to save time and increase efficiency. Every travel inevitably costs time and money. 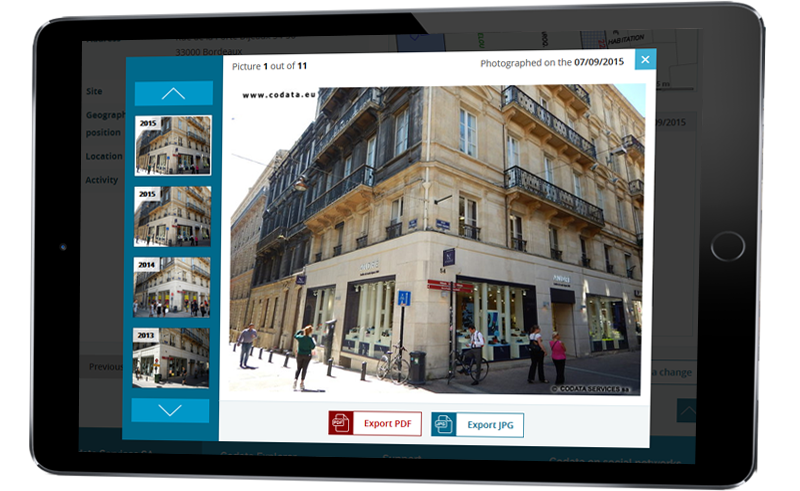 Thus, the possibility to visualise a Retail Location without travelling is a real cost saver. Understand the specificities of the urban and commercial landscape of the Site or cluster. 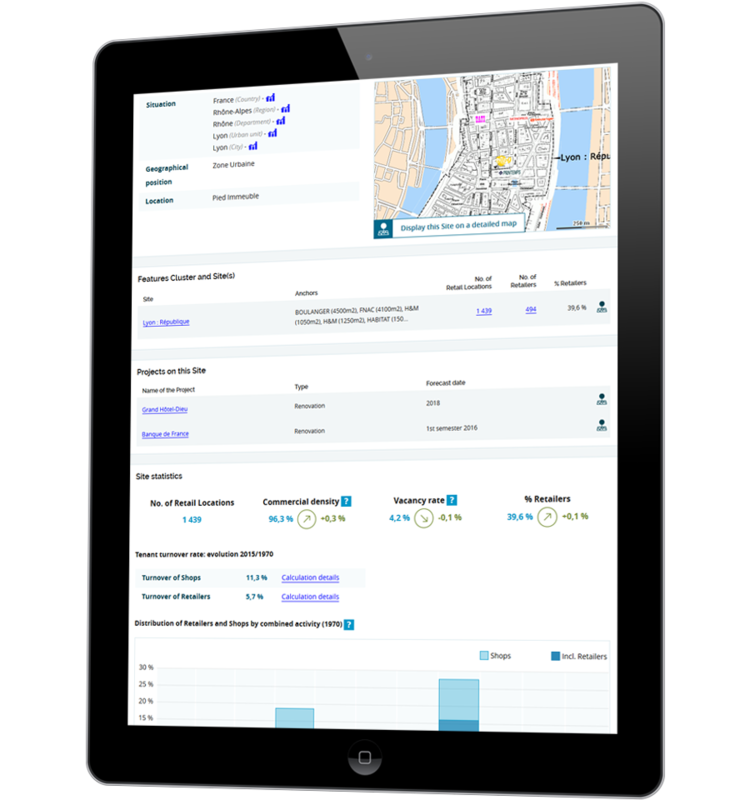 Codata tools and data allow you to know everything about each of the 700,000 Locations of the database from your office. Your scope of action is often very wide: a region, a country or even several countries. It is thus essential to set priorities on the basis of your development criteria to draw your expansion plan up. List the Locations you might be interested in. Thus, Codata allows you to collect all information you need to draw up your development plan, whether it be national or international. Every retail network developer faces the same challenge: select the ideal location. Various criteria must indeed be taken into account to take the right decision. Know the history of the Location. 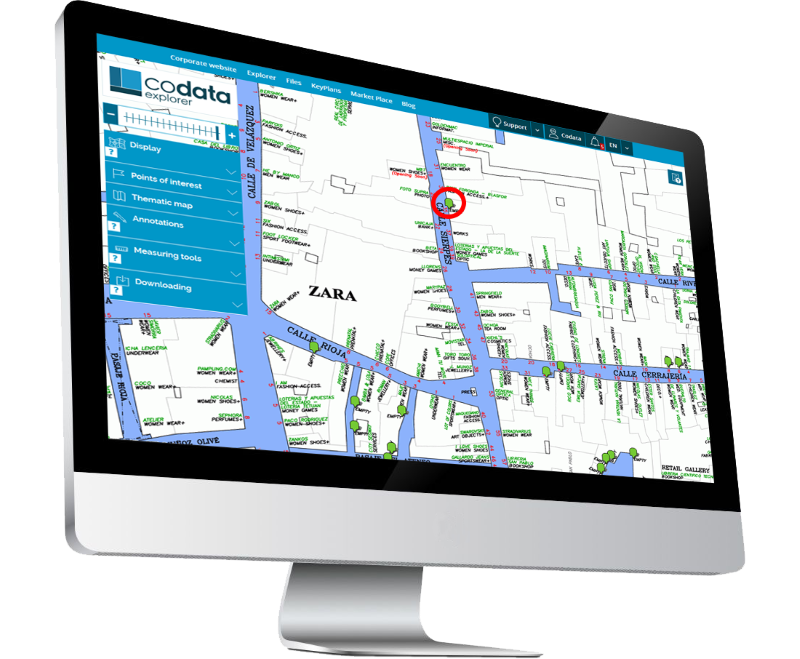 With Codata, you have all tools and data at your disposal to quickly characterise in detail every Location you might be interested in. A well-structured report is compulsory to convince. It makes it possible to highlight the strenghs of the offer and to carry the day. Edit demographic, economic or commercial statistics. Thus, Codata provides you with all useful and relevant information to quickly comprise a well-argued presentation report to convince your comity or your client. A direct contact often enables you to engage in a dialogue much faster. To do that, you need to identify the good contacts, their function and a contact mean such as a phone number or an email address. Download the contact details of all leasing managers in XLS format. Codata enables you to go straight to the point: a matter dealt with efficiency is often running well.